We are based in Jomtien, a popular tourist area full of bars and nightlife in the South of Pattaya. 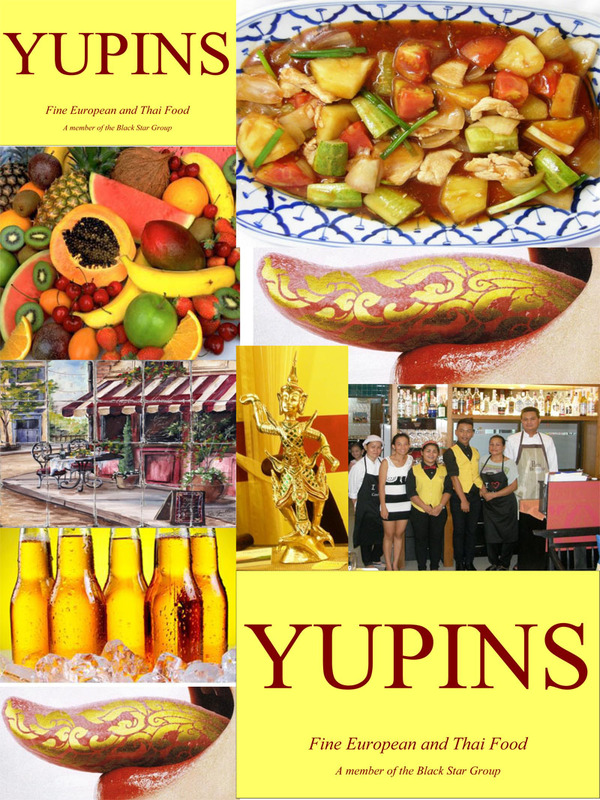 YUPINS was re opened following a refurbishment and was previously an Art/Café knows as OLEYS, which had run successfully for four years with similar menus and staff. In fact we ate there and liked it so much we bought it! Having re decorated and re built the kitchen to modern European standards with new powerful air conditioning to make it very cool, we are pleased to see the devoted clientele of before still gracing us with their presence plus many more of the local residents who have now adopted us, saying how nice it is. Luckily we also have a great support team of friends and well-wishers who love good food too. 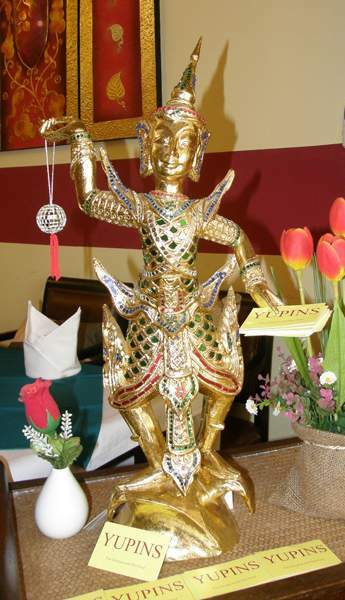 If you enjoy your food and wine, we excel in our Thai and Isaan and Southern dishes, and very fine European cuisine too, then do come to see us, we shall love to see you. Our service is fast and polite and professional and we have developed a large range of wines from around the world that are very modest in price, which is our speciality! We are altogether reasonable in price, easy to find and the parking is ok. Please call my restaurant to make bookings on 038 250 394 after 3pm.